Hello and welcome back to the Hot List. So far we have covered the biggest news in television and videogames. This week we will be looking at the most exciting new movies set to hit the big screen in 2017 from February onwards, after the cutoff point for this year's Oscars. 2016 in cinema was really a story of one film, La La Land, which long time readers will have heard about first right here on last year's Hot List. LLL has become a worldwide phenomenon, sweeping the Globes this month, and looking set to repeat this feat at the Oscars come February. This places a great deal of pressure on me to pick the winner again, but what the hey, we're on a roll so let's do this. 2017 looks like it's going to have a bit of everything, some hard sci-fi, some family friendly adventures, and plenty of artistic passion projects from Hollywood's greatest creators. First time directors, long-awaited sequels. I say this every year, but this was a very difficult selection to make, whittling a longlist of more than fifty worthy entries down to just fifteen. Let's start off on the lighter side: new comedy Downsizing. This film has got a lot of buzz surrounding it, and an awards season friendly Christmas release date. So what's all the fuss? Well first it features an embarrassingly well-stocked cast that includes Matt Damon, Kristen Wiig, Christoph Waltz, Alec Baldwin, Neil Patrick Harris, and Jason Sudeikis. 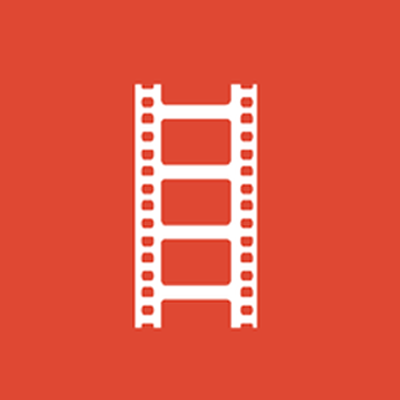 It also comes courtesy of Annapurna Pictures, a production company famous for its high quality and for producing films which go on to earn awards and critical acclaim. Despite this, the plot itself sounds faintly ridiculous: a husband and wife decide to shrink themselves down (literally) to escape the stress of life, and the wife backs out at the last minute, hijinks presumably ensue. Sounds like just another silly movie, until you realise that it's being written by two time Academy Award winner Alexander Payne, who is also directing. Payne has considerable credit to his name as the writer/director of weighty, sophisticated fare including Sideways, The Descendants, and Nebraska, so on the surface this seems like a strange project for him. Still, given his track record we can probably give him the benefit of the doubt for now. Somehow, he'll probably find a way to make this work. Next we have Wonderstruck, an adaptation of the novel of the same name by Brian Selznick, who you might know as the writer of the novel that would eventually go on to become the film Hugo. Selznick has also written the screenplay. Hugo has given him a reputation for the whimsical and wonderful, and from the sounds of the plot, split between two time periods, Wonderstruck will deliver much of the same. The impressive cast includes Academy Award winner Julianne Moore, and multi-Academy Award nominee Michelle Williams, while directorial duties have been handed to another Academy favourite in Todd Haynes, director of Carol, I'm Not There, and Far From Heaven. Strong talent and well regarded source material suggests for a potential awards contender, or at the very least a film worth watching. No release date has been announced as of yet, but we can conjecture a release towards the end of 2017. 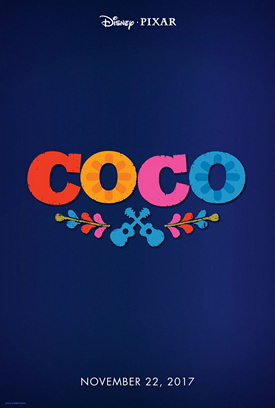 Ladies and gentlemen, the winner of the 2018 Oscar for Best Animated Feature, Coco. A new Pixar film comes with such expectation that anything other than another critical and commercial success would come as a major shock to the industry. The studio's latest is still largely shrouded in mystery. A 12 year old boy, an ancient curse, there seems to be some kind of a Mexican, day of the dead motif going on. It'll probably be good. Probably most interesting is that this is being helmed by a first time director in Lee Unkrich, and first time screenwriter in Adrian Molina. Both have experience on other Pixar projects, but this is the first with their names at the top billing. Given Pixar's track record at bringing through successful talent behind the scenes, it will be interesting to see how they get on. Release date is set for Thanksgiving 2017. Alright, this one might be bad, and usually when I say that, it ends up being bad. 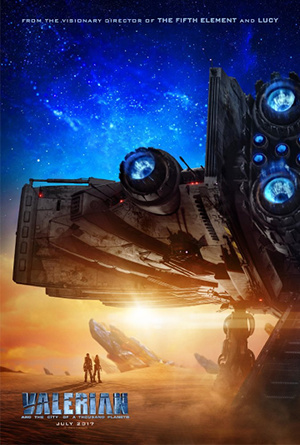 Valerian and the City of a Thousand Planets is based on a beloved French science fiction graphic novel. As you can see from the trailer, it's going to be a bit of over-the-top sci-fi ridiculousness, the style of which brings to mind two films in particular: The Fifth Element, and Jupiter Ascending. These two films illustrate just how difficult it is to get the balance right with these kinds of film, to make something that's ridiculous in a fun way, rather than just stupid. The Fifth Element is a cult classic, Jupiter Ascending was a train wreck. The comparison is important, because this is being written and directed by Luc Besson, director of The Fifth Element, so the key talent is a man with a track record of making these kinds of films and making them work. Still, some might argue The Fifth Element worked because it had the everyman grounding of Bruce Willis, whereas Valerian stars the questionable talent of Dane DeHaan and Cara Delevingne. Film hits in the summer, will it be another Fifth Element style classic, or a Jupiter Ascending flop? Suburbicon potentially marks a new phase in George Clooney's career, as the first film that he has directed without also starring in. No matter, he has brought along a stellar cast to do the dirty work in Matt Damon, Julianne Moore, Josh Brolin, and Oscar Isaac. Meanwhile the Coen Brothers have written the screenplay. Formidable talent indeed. The film itself is apparently a mystery comedy, but little else of the plot is known. Clooney's directorial efforts have so far been a mixed bag, but with the weight his name carries and the level of talent he'll be working with, it's hard to see this one passing quietly. It's going to be one of 2017's big releases. No release date has been announced as of yet, but it's rumoured to be dropping in the fall of 2017, with an apparent eye towards the awards season. A big comeback in 2017, Darren Aronofsky with his first film since 2014's Noah, and hopefully his first good film since 2010's Black Swan. The project is Mother, a film currently shrouded in mystery aside from the brief synopsis of a couple's relationship being tested when uninvited guests arrive at their home. Sounds very The In-Laws so far, but somehow I doubt the man who directed Pi and Requiem For a Dream is putting together a light comedy about family awkwardness. Then there is the cast, wonderful cast including Hollywood favourites Jennifer Lawrence, Javier Bardem, Michelle Pfeiffer, Domhnall Gleeson, and Ed Harris, all highly regarded, award winning talent. Aronofsky is one of the most brilliant directors in the business when he's on form, and even his duds are highly interesting pieces worthy of artistic merit. Then again maybe he's just re-making the in-laws with Bardem in the Peter Falk role, now who wouldn't want to see that? 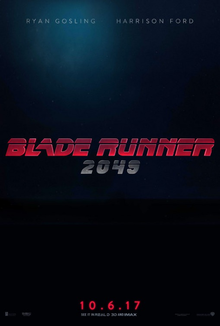 Well it finally happened, a sequel to the Ridley Scott sci-fi masterpiece Blade Runner, Blade Runner 2049. It's been discussed on and off for years, and now it is finally coming. Scott himself is not directly involved, but Harrison Ford reprises his role as Deckard, and he is joined by the abundant talent of Ryan Gosling, fresh from his stunning success in La La Land, while Robin Wright of House of Cards fame also joins the cast along with Jared Leto. Directorial duties meanwhile have been bestowed to another 2016 success story, Denis Villeneuve who is currently riding high from the critical acclaim for his last film, Arrival. Exciting stuff, but always a huge risk to try and follow up such an iconic movie, especially so many years later. This will be an event for sure, so get ready for October 2017. This one is generating quite a bit of hype, the musical biographical film of legendary showman P. T. Barnum, The Greatest Showman. The title role is taken by genuine star and surprisingly excellent singer Hugh Jackman, a man with plenty of musical pedigree from his time on Broadway and more recently the film adaptation of Les Miserables. Joining him in the cast is Michelle Williams and Zac Efron. Hollywood loves a biographical film, and the musical genre sounds a perfect fit for the extravagance and over-the-top nature of a showman like Barnum. That this is the debut film of director Michael Gracey is certainly enough to give pause, but a Christmas day release suggests the studios are confident that they have a success on their hands. Definitely one to keep an eye on. 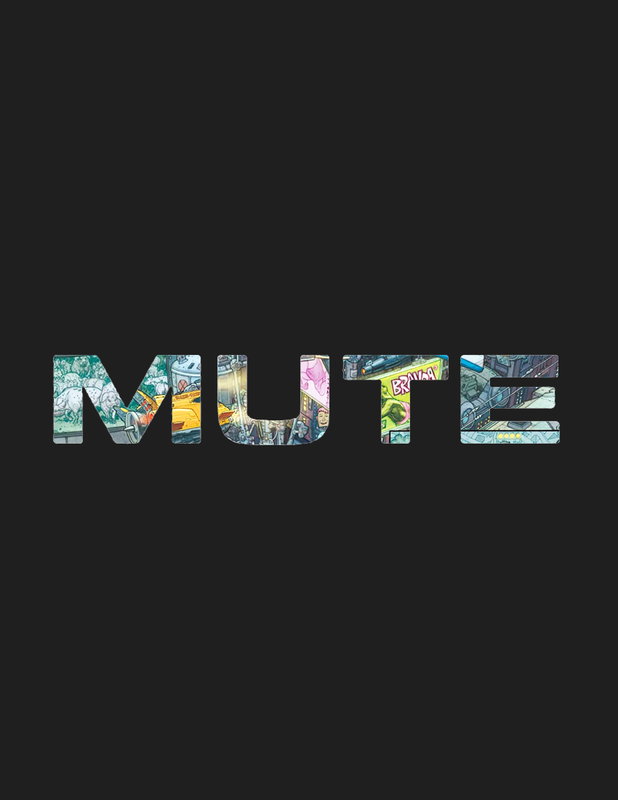 Now for something which should excite fans of high quality, intelligent science fiction, Mute. This is the latest film from director and screenwriter Duncan Jones. Sure, that's David Bowie's son, but more importantly he's the director of the critically acclaimed Moon and Source Code, both of which were utterly brilliant. Mute is a spiritual sequel to Moon, one that has been in production for years, held up only by Jones' brief foray into making dumbass summer blockbusters. Adding to the film's intrigue is the fact that Netflix of all studios have ultimately picked up distribution rights, which presumably means an online premiere, and probably being ignored by the Hollywood establishment. Whatever the case, this is a big first for Netflix to release such a major film, it will be indicative to see just how that plays out. Getting to the detail, the cast includes Alexander Skarsgard, Justin Theroux, and intriguingly Paul Rudd. Little additional detail has been revealed, and no release date has been finalised, but if Mute is half the film that Moon and Source Code were, it will be one of the highlights of the year. Don't let the tacky book cover fool you, this is a big deal. 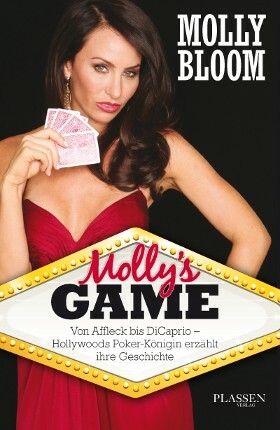 Molly's Game is the film adaptation of the book Molly's Game: From Hollywood's Elite to Wall Street's Billionaire Boys Club, My High-Stakes Adventure in the World of Underground Poker, and if the loquacious title doesn't give it away, it's a wild tale. All they need is an equally loquacious writer - enter stage left Aaron Sorkin. But as much as I love Sorkin, this project has more going for it than just his script. This is Sorkin's debut as a film director (which is quite funny for anyone who remembers his cameo on Entourage), and he has assembled quite the cast, featuring Jessica Chastain, Idris Elba, Kevin Costner, and Michael Cera. I for one can't wait to hear Elba speak Sorkin's dialogue. It will be very interesting to see how Sorkin's talent translates to the role of director, which makes this certainly one to watch for 2017. Between Blade Runner 2049, Mute and Annihilation, 2017 is looking like an incredibly exciting year for intelligent, complex science fiction. 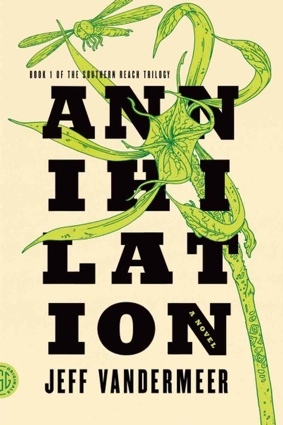 Annihilation could be the best of the bunch. This is the latest film of legendary writer/director Alex Garland, and the follow up to his brilliant directorial debut Ex Machina. Beyond this last film, many of you will know Garland for his work with famed director Danny Boyle on 28 Days Later and Sunshine, as well as his novels The Beach and The Tesseract. He is joined by the Academy Award winning Natalie Portman, Academy Award nominated Jennifer Jason Leigh, and following up their collaboration on Ex Machina, the up and coming Oscar Isaac. Production is underway, and release is expected towards the end of 2017. . I'll say with very little hesitation that Martin McDonagh is one of the very best writers alive today. Fans of his movies In Bruges, and Seven Psychopaths, or his theatrical productions Pillowman and Hangmen will know exactly what to expect; McDonagh's trademark is deliciously dark comedy that is as terrifying as it is side-splittingly hilarious. Unfailingly violent, hilarious in a messed up way. You will laugh even though you know you shouldn't. His latest, Three Billboards Outside Ebbing, Missouri probably will be no different. The plotline of a Missouri woman going to war against the police after her child is murdered sounds like your classic set up for a revenge tale, and it doesn't take a genius to see it culminating in a suitably absurd denouement, nor should that be a problem in any way if the writing is as razor sharp as his other work. McDonagh favourites Sam Rockwell and Woody Harrelson return to the cast, along with Coen Brothers muse Frances McDormand. Filming began at the start of 2016, with release expected later on in the year. Not for the faint of heart, but for everyone else this is going to be good. Surely this is far too obvious Oscar bait to actually be any good? Darkest Hour, not to be confused with the 2012 Russian film of the same title, is a Winston Churchill movie, with the great Gary Oldman in the starring role. The film will be directed Joe Wright, director of Atonement and Anna Karenina. The release date is set for November in the States, Christmas in the UK. What more can one say? It's a World War 2 period drama about one of history's most famous characters, with a release date and talent that suggests a very deliberate play for next year's awards season. This doesn't mean it won't be good, but plenty of films have gone gung ho in the past only to fall short. Either way, this is going to be one of the bigger 2017 releases. There is a lot of buzz about this one. The Mercy is based on the true story of the disastrous attempt by the amateur sailor Donald Crowhurst to complete the Sunday Times Golden Globe Race in 1968 and his subsequent attempts to cover up his failure. Interesting subject matter, bolstered by the considerable acting heft of Academy Award winner Colin Firth, David Thewlish and Rachel Weisz. Even more exciting is the attachment of director James Marsh, an Academy Award winner for his documentary Man on Wire, and directing his first film since 2014's excellent Stephen Hawking biopic, The Theory of Everything. Plenty of reason for the hype then. I have a hunch this is going to be a big player in 2017. Expect a release by year end. And lastly, because 2017 seems to have a thing for World War 2 movies, Dunkirk. Anyone who knows their history will know what the film is about: the Allied forces' painful retreat from Dunkirk after the fall of France. 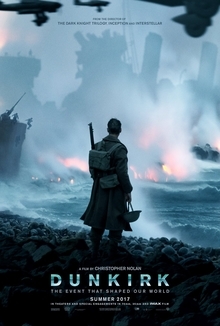 This is a good old fashioned war adventure epic, direction by Chris Nolan, music by Hans Zimmer, and a cast which features Kenneth Branagh, Tom Hardy, Cillian Murphy, Mark Rylance, and intriguingly in a starring role the relative newcomer Aneurin Barnard. Another intriguing addition is cinematographer Hoyte van Hoytema, who has previously worked on films including Interstellar, Her, and The Fighter. It's a particularly interesting move for Nolan, a man who started his career in small scale indie projects, before becoming the go-to guy for high concept sci-fi blockbusters. A switch to a more grounded, more traditional war epic marks new territory for the director. So all the ingredients are in place then for this to be one of the biggest releases of the year, with a muscular July release date set. It's an exciting list, but this one takes the top spot. So there you have it folks: 2017 in movies. Tune in next week for the essential theatrical productions hitting the stage in 2017!